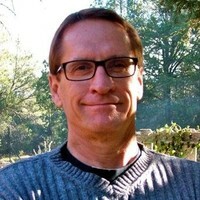 Ed Hazlett presents “Building a State-of-the-Art Website.” Topics include planning website objectives, branding, design, choosing the right domain name and more with free refreshments. Have a home-based or other small business? Grow it by interacting with community resources and connecting with local entrepreneurs! Ed Hazlett, CEO of ProWeb Business presents “Building a State-of-the-Art Website.” Topics include: planning your website objectives, branding and design, choosing the right domain name, web builders and hosting providers, Search Engine Optimization (SEO), and much, much more. The free seminar takes place Wednesday, April 10, at 10:30 a.m. in the Loma Colorado Main Library Auditorium.